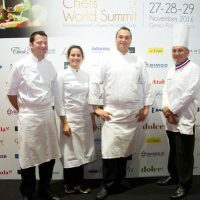 The Chefs World Summit, a superb first mise en bouche for this Monegasque show on high gastronomy, sharing and transmission of culinary art. 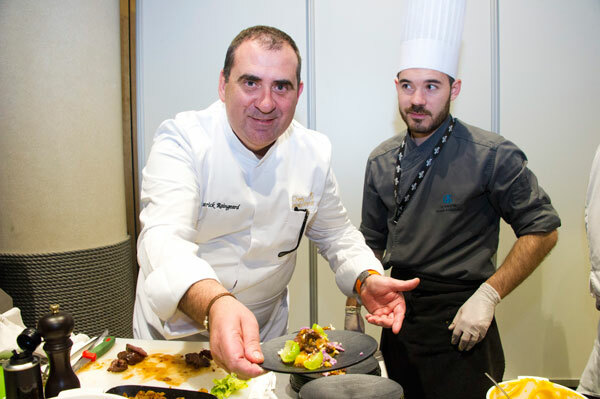 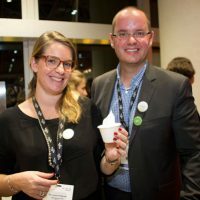 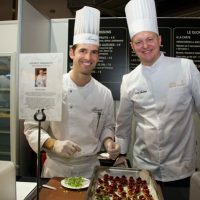 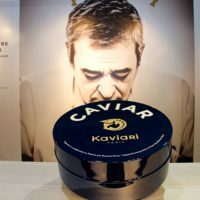 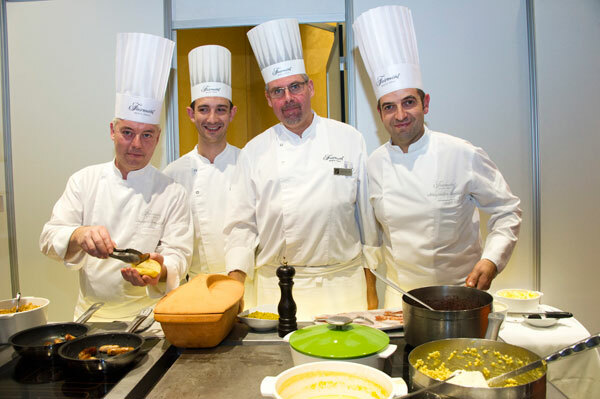 The Chefs World Summit – first edition – took place on November 27, 28 and 29, 2016 at the Forum Grimaldi in Monaco. 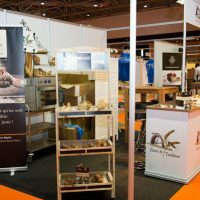 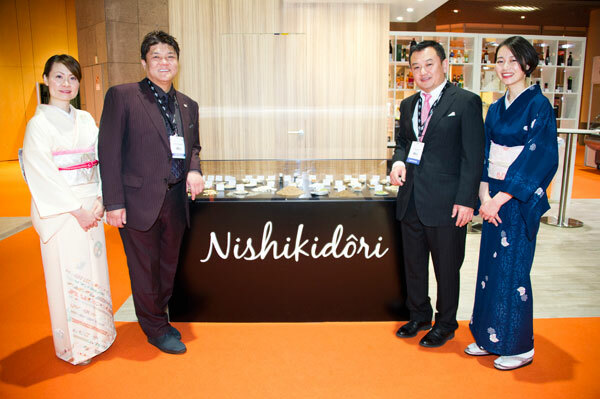 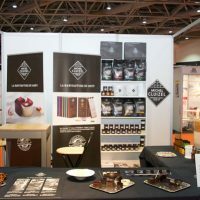 For 3 days, this show allowed to meet a hundred exhibiting suppliers on 5 000 m2. 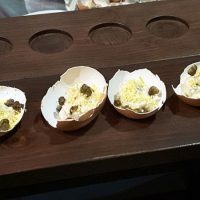 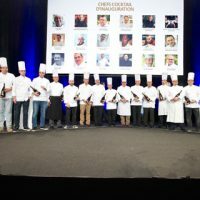 It was also an huge amphitheater for interactive lectures, demonstrations and workshops hosted by leading chefs and gastronomic experts from around the world. 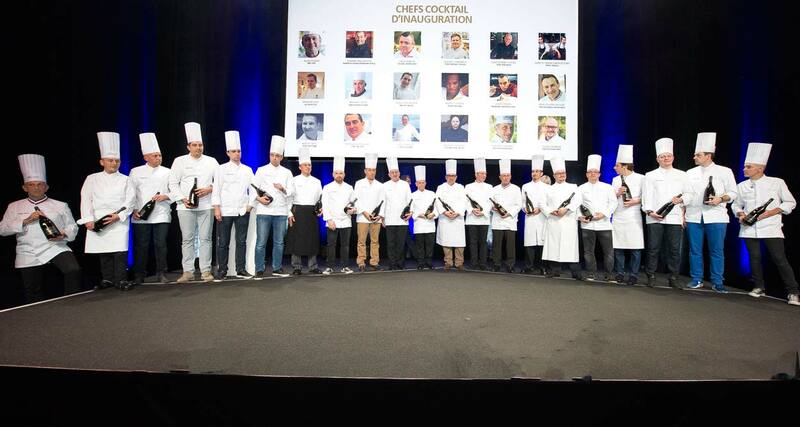 Chefs, pastry chefs, sommeliers, maitres d’, second-hand cooks, caterers, teachers and pupils of hotel schools and experts, they were numerous to have responded to the invitation of Catherine Decuyper, President of the Chefs World Summit and to share their various experiences during this world meeting of culinary art and high gastronomy, which was inaugurated on a cocktail made by starred chef Patrick Raingeard from hotel Le Cap Estel in Eze. 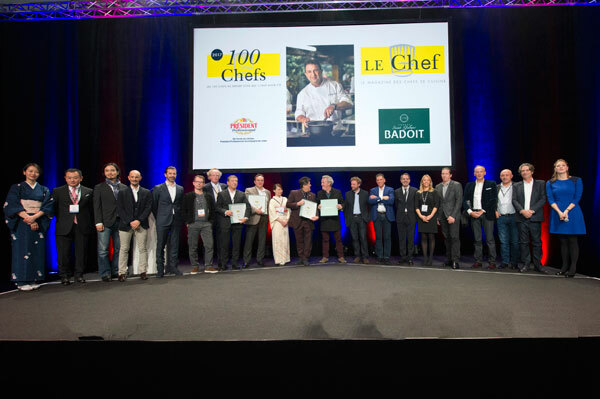 The inaugural evening of the Chefs World Summit kicked off on the immense stage of the Forum Grimaldi with the world premiere and exclusive announcement of the 100 best chefs in the world ranking for the year 2017. 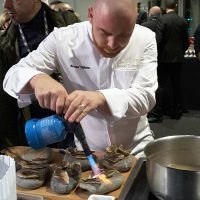 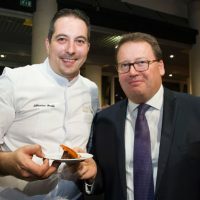 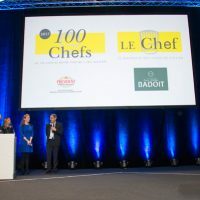 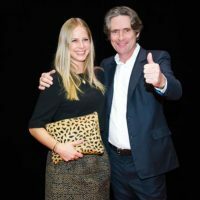 For this third edition organized by the magazine Le Chef, 534 chefs crowned with two and three Michelin stars around the world were solicited and voted to rank the 100 chefs representing the best of gastronomy. 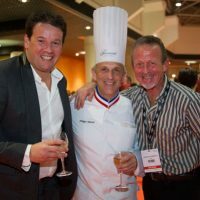 The chef sacred Number One was Alain Passard, chef of the three-star restaurant l’Arpège in Paris. 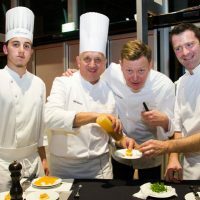 This prestigious chef was known at the beginning of his career as the Meilleur Rôtisseur in France and then for his cuisine around the vegetables of his gardens. 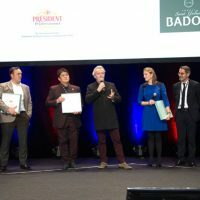 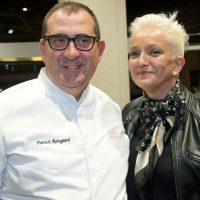 The Parisian chef succeeds Pierre Gagnaire (2015 ranking) and Michel Bras (2016), two other three-star chefs who arrived this year respectively in third and fourth place. 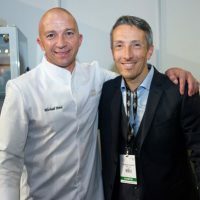 The second is the Spaniard Martin Berasate for his three-star restaurant in Lasarte-Oria, in the Spanish Basque Country, designated for two years as Best Restaurant in the World by Tripadvisor users, but also a new 3-star in the latest Spain/Portugal Michelin guide for his establishment in Barcelona. 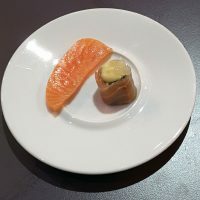 The Japanese Seiji Yamamoto, restaurant Nihonryori Ryugin in Tokyo, is number five. 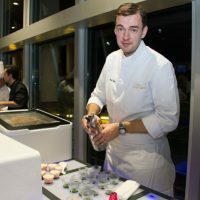 Eric Frechon (L’Epicure at the Bristol, Paris) is 6th and Emmanuel Renaut (Flocons de Sel in Megève), 9th. 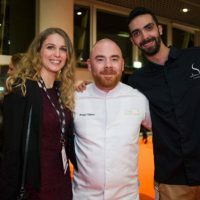 The Dutchman Jonnie Boer (De Librije in Zwolle) is 7th, Denmark’s René Redzepi (Noma in Copenhagen), 8th, and Spain’s Joan Roca (El Celler de Can Roca in Girona) finishes 10th. 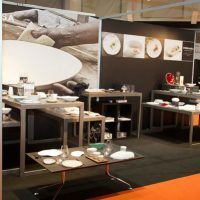 The following days were spent reflecting on the modern and tomorrow’s cuisine, but also on new technologies related to the chef’s trade. 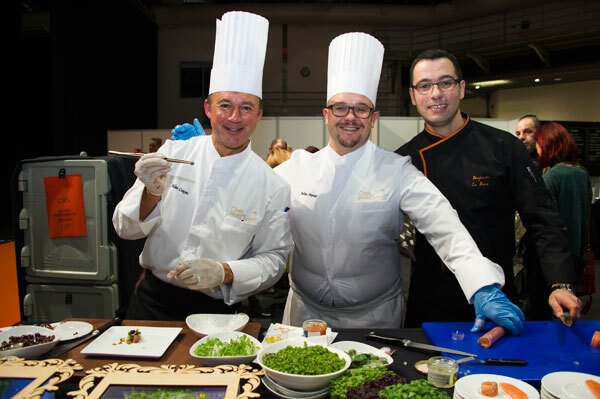 Among the highlights of the event were demonstrations by renowned chefs. 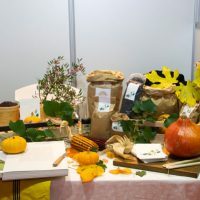 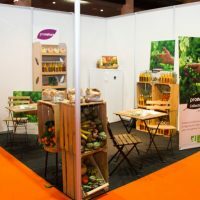 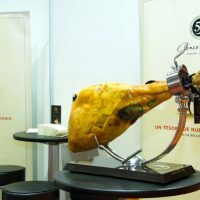 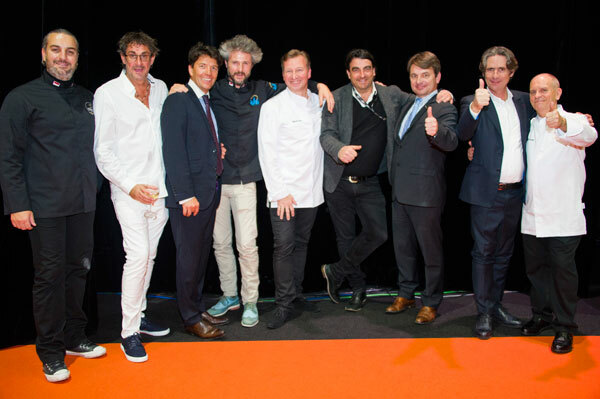 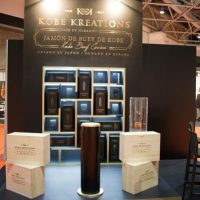 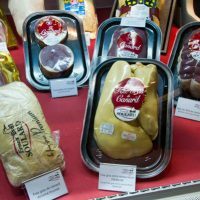 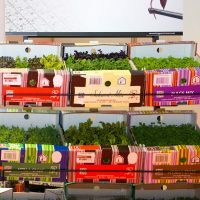 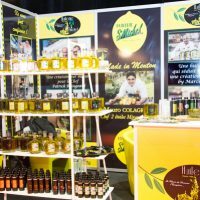 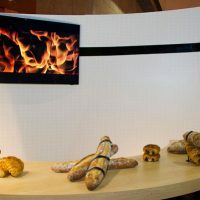 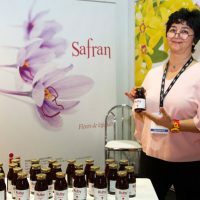 Many keynotes featuring Thierry Marx, David Faure, Yannick Alleno, Maurice Collagreco, Jérôme de Oliveira, Guillaume Gomez, Chistian Le Squer, Alexandre Mazzia or Michel Roth, addressed the various facets of gastronomy. 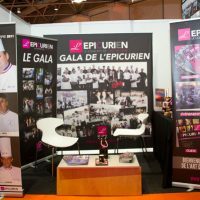 As for the speakers, entrepreneurs, chefs, nutritionists and culinary designers, many chefs succeded to share about their trade, like Pascal Barbot, Christophe Bacquié, Jacques Genin, Coline Faulquier and Babette de Rozières. 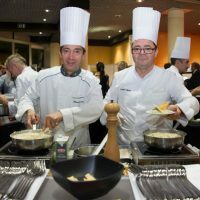 Several of the Meilleurs Ouvriers de France, sommeliers, maitres d’, and cooking and hotel schools also took part in this meeting. 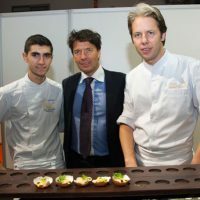 The subjects adressed: the chef’s profession and its stakes, the relationship with its teams, the feminine vision of gastronomy, the training of young people, chefs and haute cuisine at home, pastry in all its forms… But also how how to deal with the new technologies, how to attract customers on social networks, how to improve media exposure, how to react to anonymous criticism, and how to use the digital tools that are now available for chefs and restaurants. 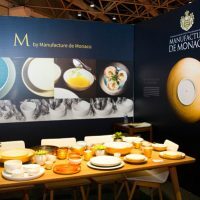 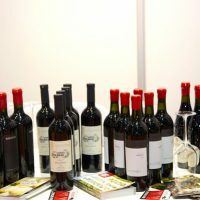 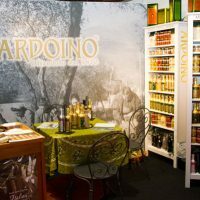 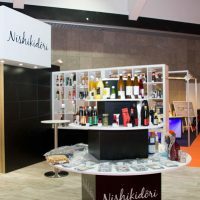 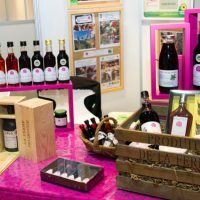 Other themes such as: how to develop your company, how to deal with the increase in customer requirements, what are the innovative concepts of tomorrow, how to develop the wine turnover, what complementary activities are profitable, well choosing one’s tableware and its culinary design. 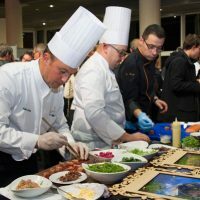 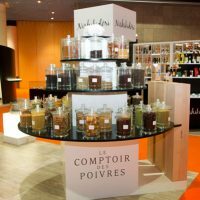 Among all these themes exposed, gastronomy pleasure and well-being was not forgotten. 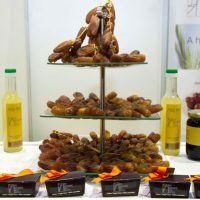 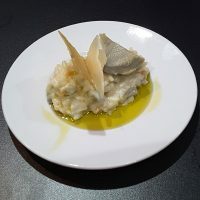 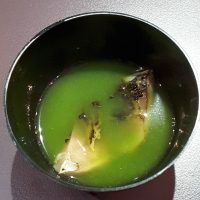 Conferences on bio, health and well-being and the environment, emotions at table and the pleasure of eating, aphrodisiac food, restaurant as a place of conviviality and exchanges, were the high point for many lovers of Art of Living and bien manger.